The "http" in the web address will be replaced by "https", indicating that you've reached a secure area of the website. Depending on the browser, you will see either a padlock (Microsoft Internet Explorer, AOL, Netscape Communicator) or a solid key (Netscape Navigator) in the lower section of the browser window. Only browsers that use the Secure Socket Layer protocol are able to order through the Bookstore website. If your browser does not support SSL, you can get an upgrade at Microsoft's or Netscape's home page. Information you actively submit to The Bookstore. You may choose to provide certain personal information to The Bookstore through this site. This personal information may include your name, address, telephone number, email address, SFA student ID number, and credit card information. You may be asked to provide this information when you register to create an account with The Bookstore, to place an order with The Bookstore, or to contact The Bookstore with a question or comment. We use this information to fulfill your orders for books and related merchandise, to provide customer support, and to communicate with you. Except as described below, The Bookstore will not disclose your personal information to third parties who are not our affiliates without your consent. We do not sell or exchange customer lists or customer information for marketing purposes with unaffiliated third parties, and will not do so without your express permission. We may also share all of the personal information we collect, described above, for business purposes with companies and individuals who provide servicing, administrative, marketing, and other services for us, or on our behalf. Companies we hire to provide such services are only permitted, by contract, to use your information for the performance of the specific services we have requested of them. The Bookstore may disclose personal information to government and regulatory authorities as permitted or required by applicable law, to enforce or apply the terms of any of our policies or user agreements, or to protect the rights, property, or safety of The Bookstore, our users, or others. The Bookstore is not responsible for the privacy practices or the content of other websites that may be linked to this site. Automatically collected information. The Bookstore's web servers automatically collect anonymous information about a visitor's IP address, browser type and referrer by reading this information from your browser. This information is collected in a database and is used to help us recognize you each time you return to our site. This information is automatically logged by most websites. Information collected using cookies. The Bookstore may use various kinds of software devices, such as cookies to collect information about Internet use. These small files identify your browser and save information such as passwords so that Web sites can recognize you. You can set your browser to disable cookies, but some portions of this site (and other sites) may not work properly if you do this. The Bookstore maintains reasonable security procedures and practices appropriate to the nature of the information, to protect the personal information from unauthorized access, destruction, use, modification or disclosure. Nonaffiliated third parties are contractually obligated to maintain strict confidentiality, and are not permitted to use your personal information for marketing purposes, or for any purpose other than that we have requested of them. To access, correct or delete your personal information stored by The Bookstore, please log-in and click on the Log In link. The Bookstore may, but is not required to, update this policy from time to time. Accordingly, you should periodically check this web site for any changes. Use of this site will constitute your binding acceptance of the terms and conditions, as revised from time to time. If you do not wish to abide by these terms and conditions, cease using this web site. All of the information, including without limitation to the design of this web site, and all information, text, graphics, software, HTML, .CGI and all source, object and other codes and scripts, in any format, used to implement, or are featured, (the "Material") on this web site are the property of Texas Book Company (The Bookstore), or its licensors. The Material is for personal use only. 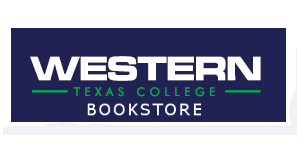 Users may copy in electronic format or print in hard copy, the limited portions of the information displayed on this site for the sole and exclusive purpose of placing an order with The Bookstore. No user shall copy, modify, upload, download, transmit, publish, or otherwise distribute any portion of the Material, or create derivative content using it without the express prior written consent of The Bookstore. You acknowledge and agree that The Bookstore provides this site, and its contents, on an "AS IS" and "AS AVAILABLE" basis. The Bookstore makes no representation or warranties of any kind with respect to the site, the contents thereof, appropriateness or fitness of use or merchantability. The Bookstore cannot and does not warrant that the information or merchandise provided through this site is accurate, complete or current. It is not necessary to register to purchase products from this web site. Our users are given the opportunity to 'opt-out' of receiving our newsletter or promotional materials at the point where we ask for the information. Users who no longer wish to receive our newsletter or promotional materials may opt-out of receiving these communications by either following the unsubscribe link in the email message or by replying with "unsubscribe" in the subject line of the original email message. The information provided through this site, including but not limited to the book listing, price, and availability, is subject to change without prior notice and at any time. The price information provided is not intended to and shall not be deemed to constitute a contract or an offer to form a contract, but is an advertisement for an offer. The Bookstore, its directors, officers, employees, agents, content providers and any and all third party involved in the development or maintenance of this site expressly disclaim any and all liability of any nature and kind. The Bookstore reserves the right, in its sole discretion, to change, suspend or discontinue any or all-constituent parts of this site, including the availability thereof, effective upon publication on this site. The copyright laws of the United States and all applicable international treaties and conventions protect the Material on this site. All of the trademarks, graphics, logos, headers and names, which The Bookstore uses in connection with the web site, shall remain the exclusive property of The Bookstore.